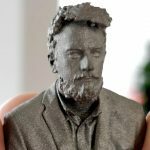 The desktop resin-based 3D printing segment has sparked to life in the last few years thanks to the likes of Formlabs paving the way with the Form 1, and successful machines such as the Peopoly Moai and Anycubic Photon popularizing the format. One company to offer machines in the same sphere, but operating somewhat under the radar is Phrozen. 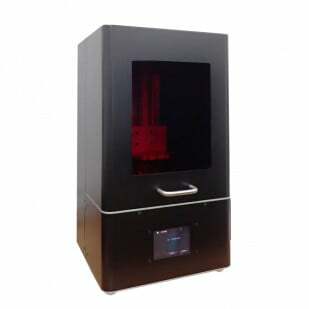 A Taiwan based manufacturer, Phrozen has successfully campaigned on both Taiwanese crowdfunding platform FlyingV and Kickstarter to launch previous LCD-based 3D printers. 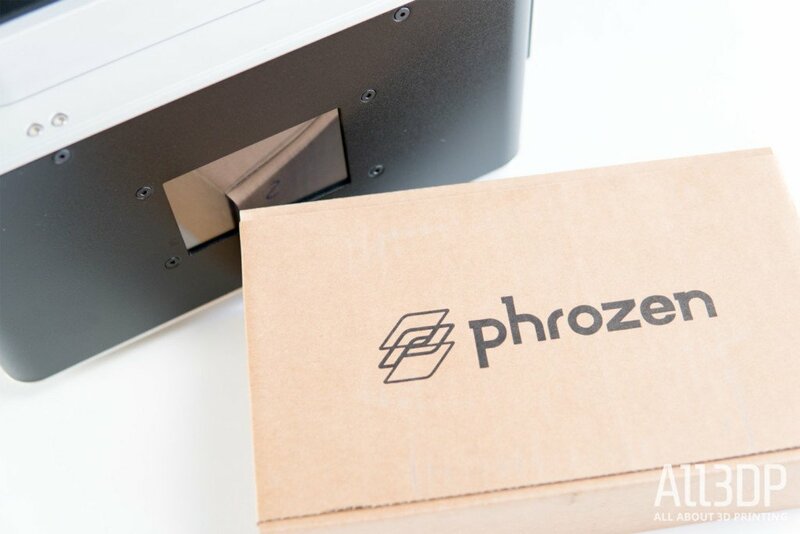 Phrozen’s last project – the Phrozen Make – is a desktop LCD 3D printer that promised fast prints, wireless printing, and 3rd party material compatibility. Shipped to backers by February of this year, the company swiftly moved on to develop bigger and better things. Namely, the Phrozen Shuffle[/product_overlay] and Phrozen Shuffle XL, which it sells directly on its own website and via resellers. In addition to the almost necessary ease of an FEP film vat, the Phrozen Shuffle boasts Phrozen’s proprietary ParaLED optical engine. Essentially an LED matrix that matches the 2K screen’s 5.5-inch size, the ParaLED is optimized to emit its light as close to parallel as possible. This should translate to neater prints, faster. In our short time with it, the Phrozen Shuffle has us hopping with glee at the print quality (a move we shall now refer to as the Shuffle shuffle), and mulling the missed opportunities. We heard great things about the rigidity and print quality of the Phrozen Shuffle before we got our hands on one. Those two things are assured. It is a hefty beast of a printer that outputs stellar prints at high detail. However, many UI, software and process frustrations hold it back from being an easy recommendation for all users. 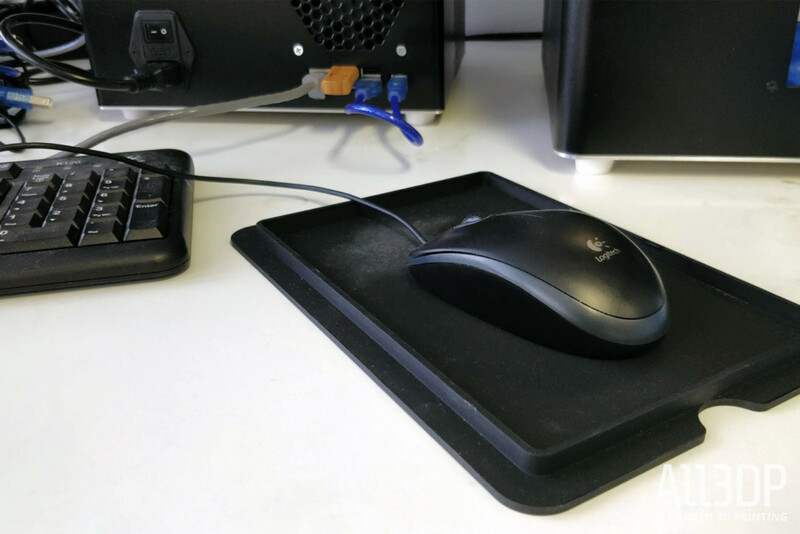 There’s some small irony that the segment of the desktop 3D printing market heating up right now is the one that requires no heat whatsoever to do its business. We are talking, of course, about 3D printers that print resin. SLA, in its broadest term, but the favorite weapons of this particular battlefield are UV lamps and the HD LCD screens that mask them. 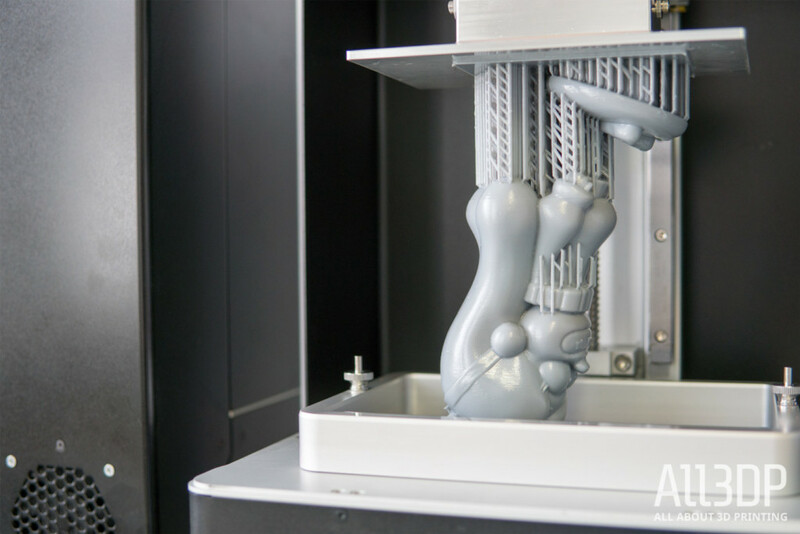 The Phrozen Shuffle utilizes an offshoot of Stereolithography (SLA) 3D printing known as Masked Stereolithography (MSLA). In essence, an LCD screen with a high pixel density sits between the clear-bottomed resin vat and an array of UV light emitting LEDs. Your 3D model is turned into snapshot images of entire layers, which display as a mask on the LED. The UV light shines for the required number of seconds to set the resin, passing through the mask and hardening a layer of resin onto the build plate, which has been lowered and pushed up against the transparent bottom of the resin vat. The process repeats for all of the subsequent layers. You could liken it to Digital Light Processing (DLP) 3D printing, in that an entire slice is set at once in the resin. 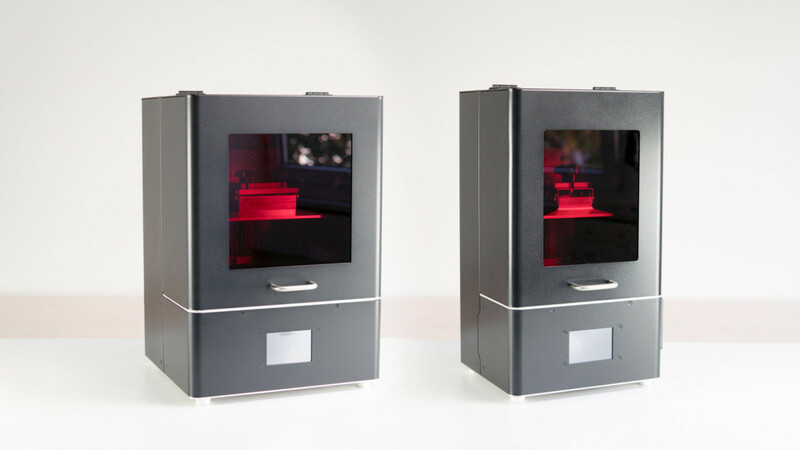 Instead of the highly complex and expensive projectors of DLP however, cheap tech like LCD screens and UV LEDs are used, making the method a popular one among manufacturers of desktop 3D printers competing for the budget buck. 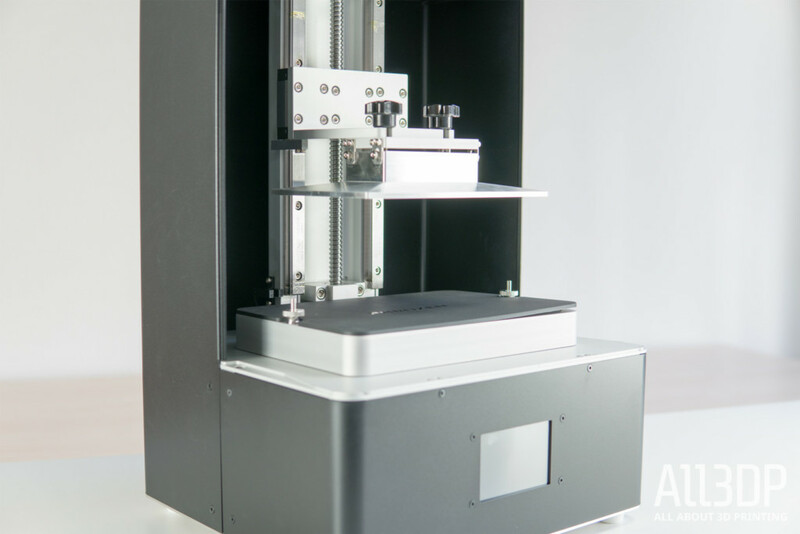 Indeed, we’re likely to see this particular segment heat up in 2019, with what you could consider premium manufacturers such as Zortrax and Prusa Research attempting to put their stamp on MSLA 3D printers in the near future. 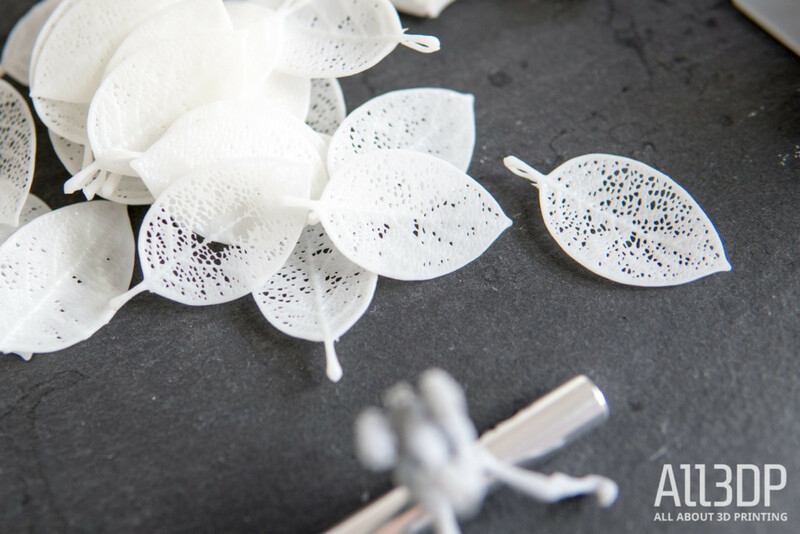 Compared to traditional SLA 3D printing, which uses a laser to trace the layer into the resin, MSLA offers the advantage of having flat curing times for every layer. 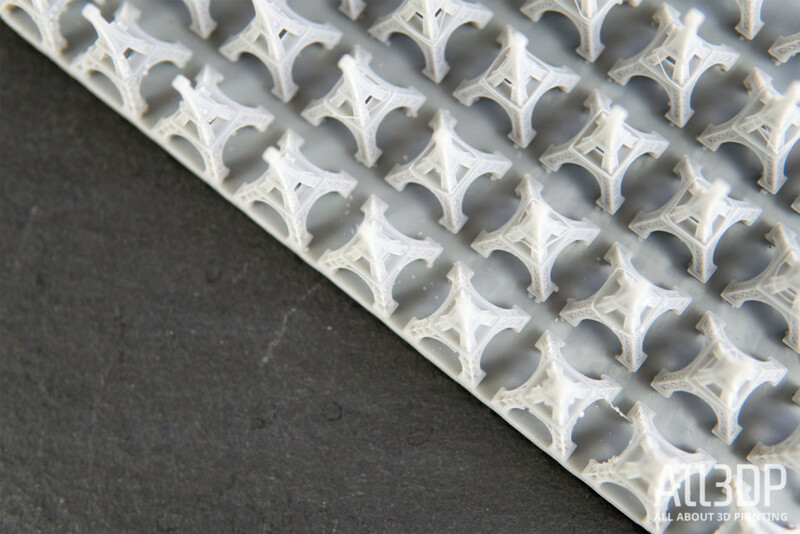 As long as the number of layers is the same, a full build plate of parts requires the same print time as an individual piece. You can argue it the opposite way for SLA being quicker to produce small parts since the blink-and-you’ll-miss-it laser need only trace a small layer (rather than wait for the prerequisite layer cure time). The short of it is that MSLA can amp your productivity for batches of parts. The Phrozen Shuffle utilizes a 5.5-inch 2K LCD screen, which we presume to mean a resolution of 2560 x 1440. 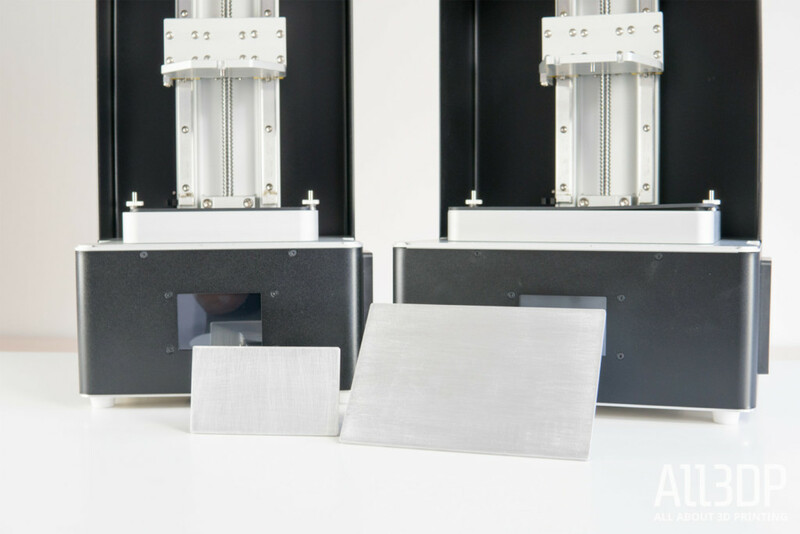 Printing across this smartphone-sized screen, Phrozen claims an XY resolution of 47 microns (0.047mm), a fine level of detail that beats out even the laser spot size of the Formlabs Form 2, the leading desktop competition. Scaling up to the Phrozen Shuffle XL, an 8-inch screen at the same resolution results in a maximum XY resolution of 85 microns (0.085mm). On paper, this puts the Phrozen Shuffle XL in the same ballpark as the Peopoly Moai, with its 70-micron laser spot size. Putting this into perspective, we’re already in awe of prints on the Moai, so even the “lower” resolution Shuffle XL results in astoundingly detailed prints. Powered down the Phrozen Shuffle is a gorgeous slab of a machine, with powder coated black everything and exposed brushed aluminum threads around the edges. It looks the business. Contrary to this professional exterior, however, is Phrozen’s lurid skin of NanoDLP, the printer host/control software used in both the Phrozen Shuffle and Shuffle XL. Firing up the Phrozen Shuffle greets you with a dated looking mauve bootup screen than mishmashes shades of red and purple when it loads into the printer’s directory navigation. It ain’t pretty, and the small icon and file readouts you get are prone to mishits when navigating the printers’ menus. Mechanically speaking the Phrozen Shuffle offers precisely what you would want in a machine with only one moving axis — rigidity. 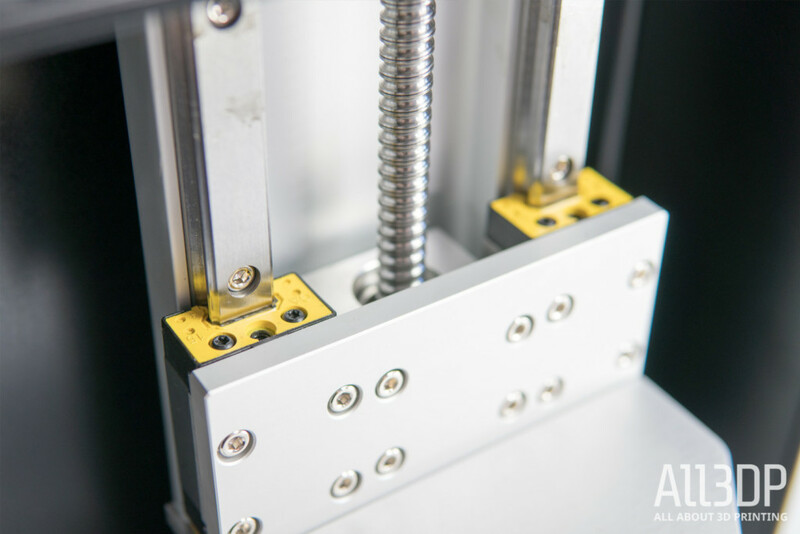 Ditching the threaded rod or lead screw commonly seen in desktop 3D printers, Phrozen has opted for the precision and stability offered by a ball screw. 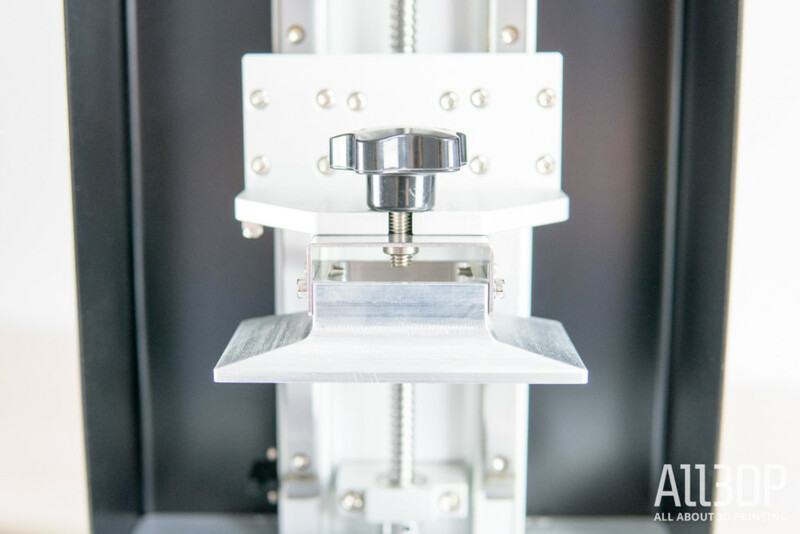 Not only that, this hefty shaft of machined metal partners with dual linear guides for rigidity and accuracy in the Z-axis motion. Print interfacing is taken care of by an FEP bottomed resin vat that does a serviceable job here. In our dozens of hours printing on both the Phrozen Shuffle and Phrozen Shuffle XL, we’ve seen nary a crease or dent in the FEP. Should you need to replace the FEP, which you eventually will, the process should be trivial what with the vat edged with screws that will pull a replacement sheet taut for you. The inner workings of the Phrozen Shuffle are, peculiarly, externally visible in the requirement for you to plug the printer into itself. Indeed, running NanoDLP gives the Shuffle the ability to operate independently, slicing STLs onboard courtesy of what appears to be its own embedded Raspberry Pi. 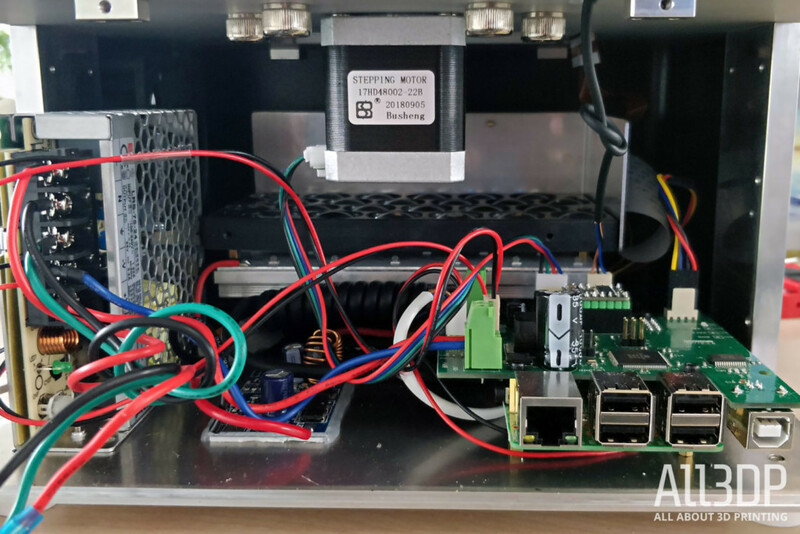 Serving as the number-crunching brains, this Pi — to our understanding — feeds instructions to the Phrozen’s mainboard, and therefore requires a permanent connection between the two. A comically short USB cable provided in the box takes care of this, with the dangerously fraught connection poking out of the back of the printer. Such a connection appears to be a consequence of relying on the Pi to read your 3D models via USB and also making this connection to the mainboard by USB. 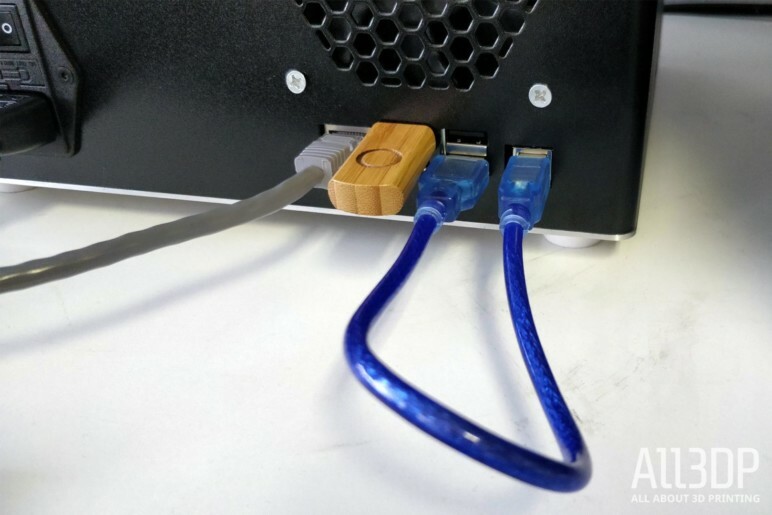 The Raspberry Pi has four USB 2.0 ports in a single cluster — which you need to access to be able to load your prints — making a tidy internal connection with the boards impossible in their vanilla state. Keeping all of these parts cool under load are two massive fans that are particularly loud, and always on. The ambient noise of the Phrozen Shuffle is that of a plane cruising at 35,000 feet. Tip tap tapping around the Phrozen Shuffle’s UI to set up a print leaves one thought prominently in mind — this is clunky. 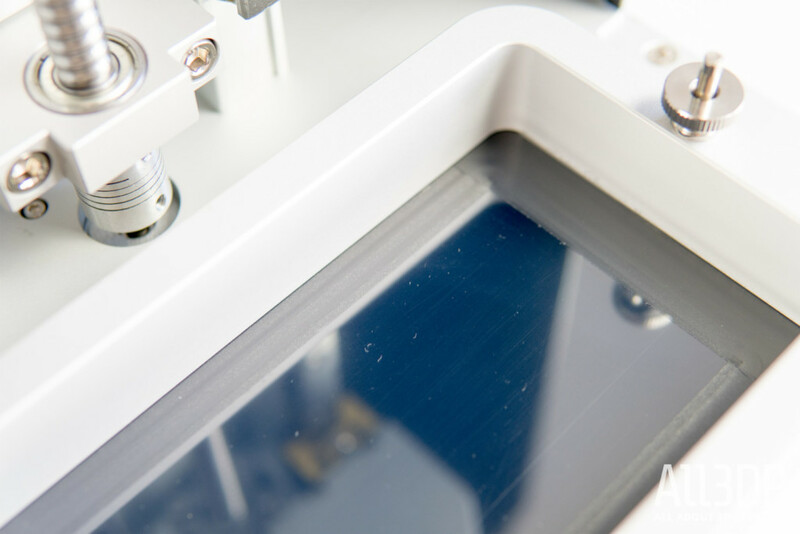 The process requires you to navigate to the file you have prepared, match it to a preloaded resin profile, and then transfer it from the USB stick to the printer’s memory. Only to then find the print again from the printer’s Plates menu (Plates being Phrozen’s lingo for print jobs) and confirm you want to print it. Overall the process feels cumbersome and needlessly obstructive. Similar heavy-handedness comes when attempting to use resins other than Phrozen’s own, which have profiles preloaded on the printer for you to use. 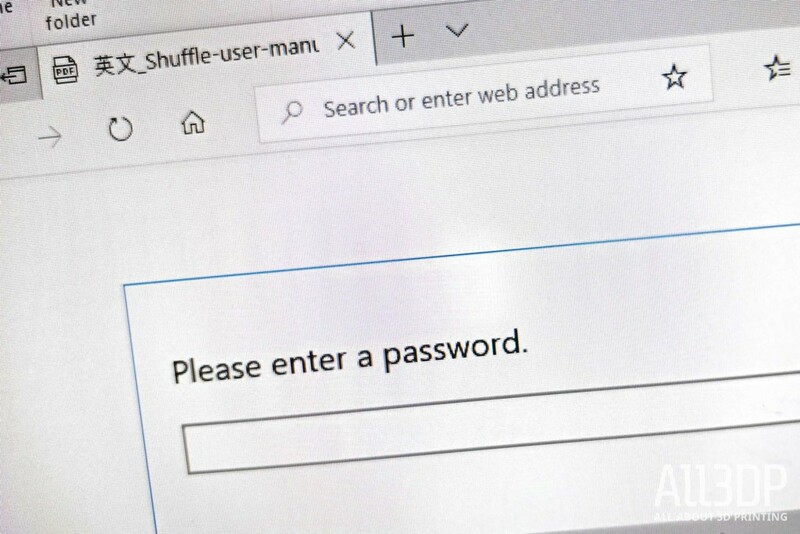 To configure new resin profiles, you must hook the Phrozen Shuffle up to a network via LAN cable and tap in the machine’s assigned IP in your web browser (you must be on the same network). 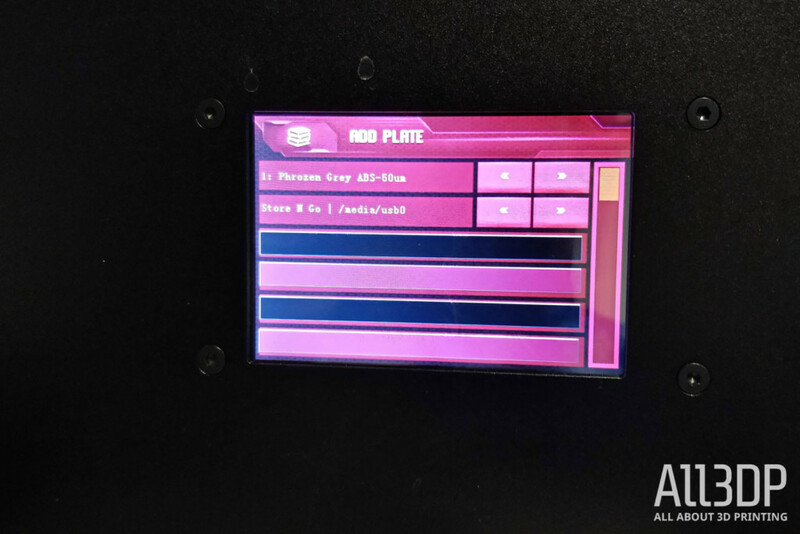 Once hooked into our printer via the network, you get access to advanced configuration options, the ability to pipe prints directly to the printer (although we’d advise against this for the sheer number of timeouts other errors we encountered doing so), and set up new resin profiles. 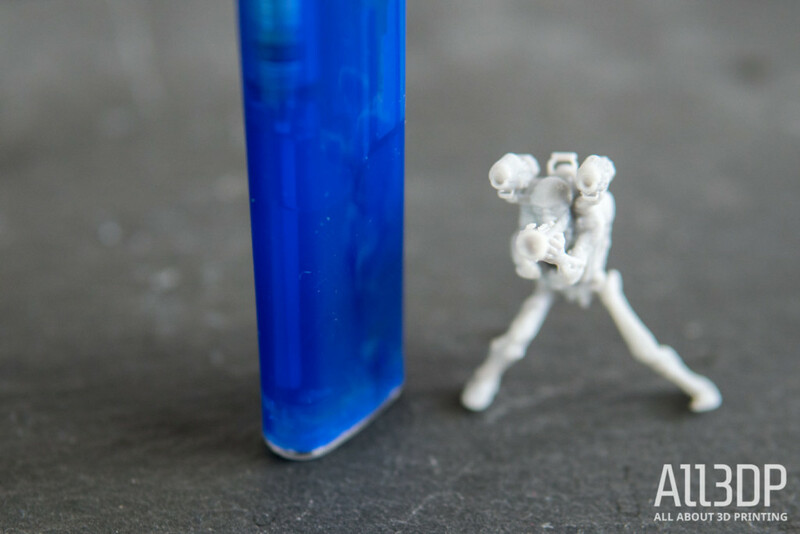 Phrozen’s user manual — which is bafflingly password protected — points out the relevant variables you may need to adjust when creating a resin profile but doesn’t go as far as to explain what they do or how you might find a particular resin’s correct setting. Discovering the setting to enter can be a time-consuming process of experimentation, curing your new resin “blind” and adjusting based on how it reacts to your current exposure time. Access denied unless you have the password. You get no tips or advice on how to proceed, and there are scant few find resources at your fingertips that detail this. Phrozen isn’t solving a problem here with the Shuffle, which is a shame considering how workhorse-like the Shuffle is when burning through the company’s resin using its preconfigured resin profiles. Heck, even NanoDLP — the printer host/control software the Phrozen Shuffle operates on — has an inbuilt resin exposure test to help determine such things, but there’s no mention of it in Phrozen’s secretive manual. 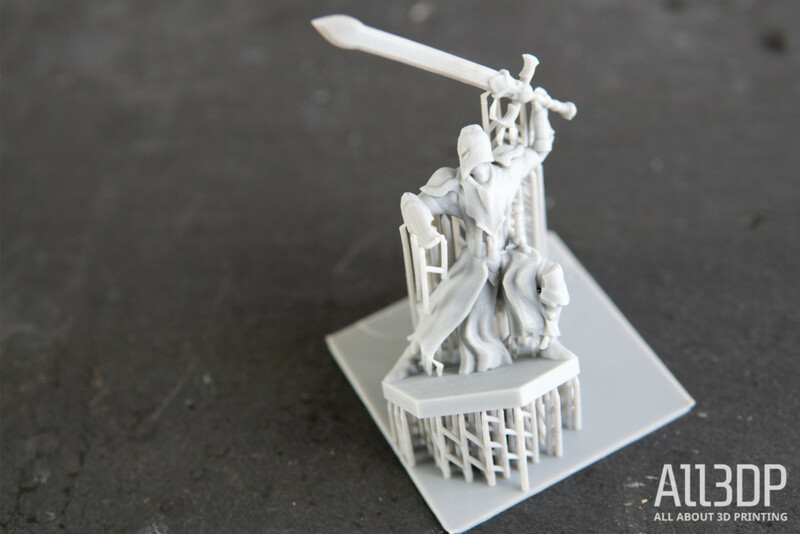 The act of taking a 3D model and preparing it for printing on the Phrozen Shuffle also highlights the lack of maturity in the desktop/hobbyist space for software preparing prints for SLA/MSLA. 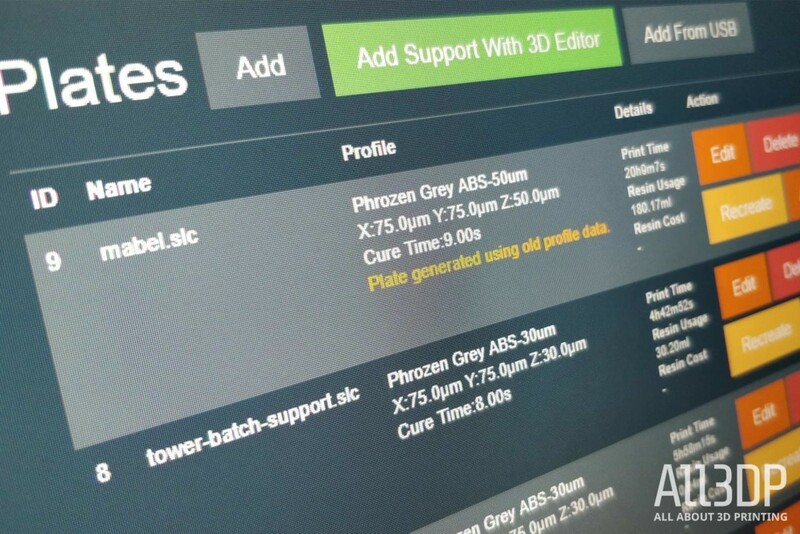 Phrozen’s documentation nudges you in the direction of Meshmixer for support generation — a necessary step when printing with resin — before punting the file over to Asiga STOMP for generating an SLC file. If you, like us, find Meshmixer an excellent repair and transformation tool, but a bit cumbersome for support generation, then, of course, you can opt for an alternative slicer with support generation. The rub here for us, using Peopoly’s Asura software for support generation, is that STOMP does not recognize .stl files generated in Asura, leading us back to Meshmixer to re-export it as an STL. Three programs just for one poxy print seems a step back to prepare prints for a machine as refined as the Phrozen Shuffle. 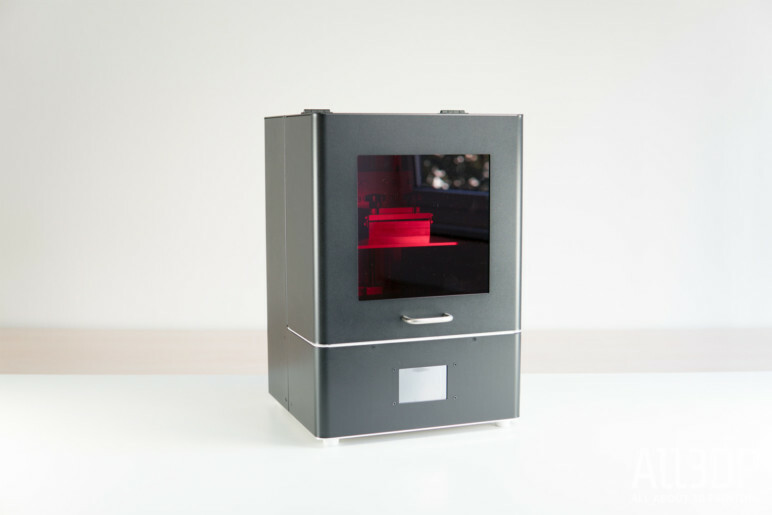 ChiTu DLP — the slicer used by Anycubic for its Photon MSLA 3D printer — appears to be a viable option. One thing worth noting is that the X and Y axes of the Phrozen Shuffle, for whatever reason, are inverted. You’ll need to flip your prints 90 degrees for the Shuffle to print them correctly oriented on the print plate. We do not know why. The directory view of a USB stick filled with .SLC files. Scrolling refreshes them into view. Further small irritation on both of our review units came in the printers’ UIs not displaying the contents of a USB stick until you attempt to scroll down, the action seemingly refreshing the page and jogging your files into view. We only discovered this by accident, after some minutes thinking we were doing something wrong with the printer. Other small things, such as the progress bar not actually indicating the current action’s progress add up to a sense of roughness that disappoints against the apparent quality of the hardware. 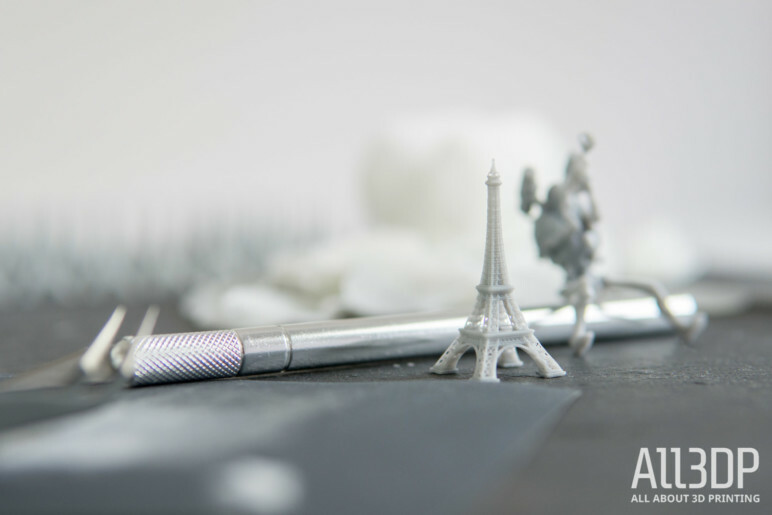 What SLA printer review would be complete without an Eiffel Tower? After some considerable hours printing with both the Phrozen Shuffle and Phrozen Shuffle XL, we’re pretty confident in concluding that both are serious productivity machines capable of churning out highly detailed models. It’s no exaggeration to say that, among the budget desktop 3D printers, MSLA printers blow the vast majority of their molten filament extruding brethren out of the water for print detail — especially so for use cases that require lots of tightly packed detail. It’s remarkable, and it never gets old. Ever wanted to see the buttons and valve stems on a 15mm long trumpet in the hands of a skeleton monster rendered to absurd life? Neither did we, but we printed one because the Phrozen Shuffle can. To be specific, the Phrozen Shuffle XL – technically the lower resolution of the two printers – can. 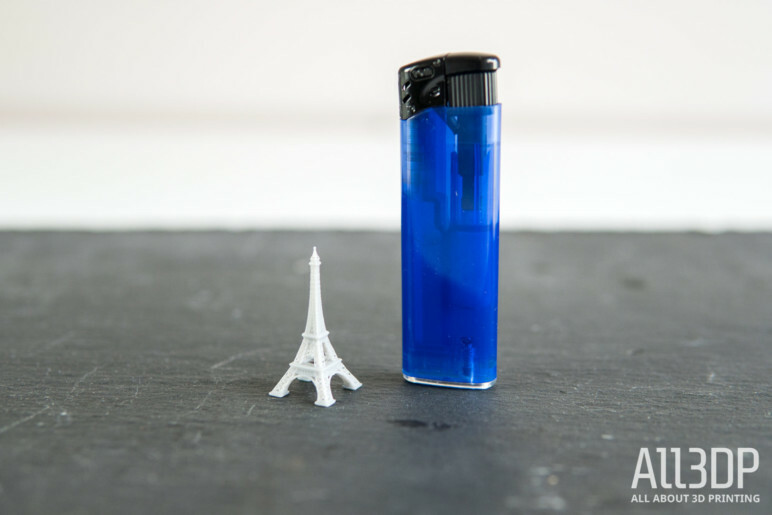 We don’t have the tools to verify Phrozen’s claim of 47 and 85-micron XY resolution for the Shuffle and Shuffle XL, but from our time printing with both machines, we found that fine, hairlike features are possible (such as a safety railing on a 4cm tall Eiffel Tower). Don’t expect such features to always survive beyond washing and curing the model. Printing up to the edge of the print plate is possible, but we found some distortion and loss of detail to be a common blemish on otherwise fine prints. This could be attributed to the peel force when using FEP, or possibly even temperature fluctuation in the resin at the edge of the tank. It’s generally safe to print in the middle of the plate. Both the Phrozen Shuffle and Phrozen Shuffle XL boast a generous 200mm of build volume in the Z-axis, a sprawl of space that we were eager to test out on the roomy Shuffle XL. Below (pictured) the print is broadly exemplary of the machine’s quality, although we note an ever so subtle shift layer shift mid-way through. This layer shift is not attributable to the mechanics of the printer since no other model printed beyond that Z-height exhibits the same error. It’s possible at that layer the peel force was so great it knocked things across. Indeed, across all of our printing with the Phrozen Shuffle and Phrozen Shuffle XL, we’ve found pleasing results that, for price points of approximately $700 and $1,200 respectively, seem justified. Phrozen Shuffle (XL) Review But is it Worth it? The Phrozen Shuffle entered the market as the answer to flimsy, budget MSLA systems, bringing stunning print quality and rigidity, albeit with the baggage of an opaque but ultimately manageable workflow. 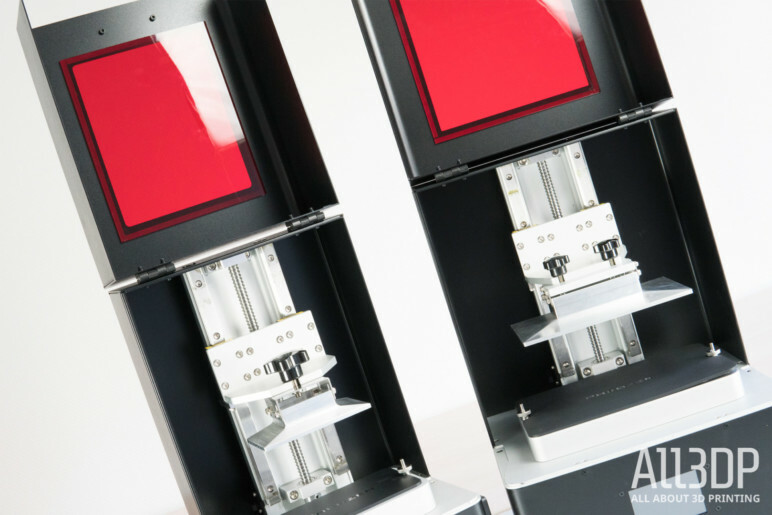 The likes of the Original Prusa SL1 and Zortrax Inkspire loom large on the horizon — both machines that (on paper) offer greater connectivity, dedicated software solutions and additional features such as resin detection and air purification. We fear the Phrozen Shuffle will quickly seem dated against printers that answer the Shuffle’s shortcomings. In our estimation, Phrozen could improve the Shuffle’s standing with a cleaner solution for print preparation and, stronger guidance on working out new resin profiles and tweaks to the UI and usability. As things stand, its small community and sparse documentation leave the Shuffle feeling somewhat inaccessible. 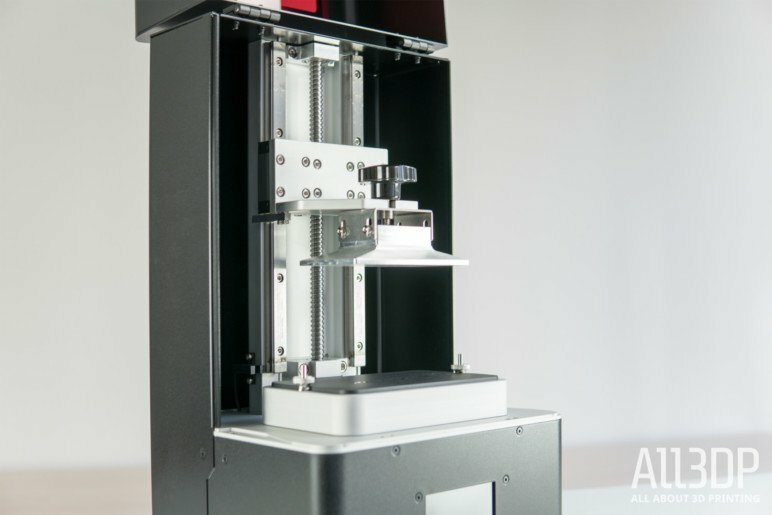 However, if you’re well versed in resin 3D printing, particularly MSLA and the steps required to configure profiles for new materials, the Phrozen Shuffle is a worthy addition to your arsenal; mechanics that are sturdier than most, fewer moving parts and a large print volume ensure that. The XL, in particular, is an attractive option for the additional print volume it offers; we found little noticeable difference in print quality for its lower XY resolution. Ultimately whether the Phrozen Shuffle or Phrozen Shuffle XL is for you comes down to your budget versus your intentions. There are cheaper alternatives out there that boast similar print quality but lack the rigidity and robustness of Phrozen’s Z-axis assembly. If you’re looking for longevity, your search could well be over. You can pick the Phrozen Shuffle and Phrozen Shuffle XL up from the retailers listed below. License: The text of "2019 Phrozen Shuffle (XL) Review – Stunning Prints" by All3DP is licensed under a Creative Commons Attribution 4.0 International License.